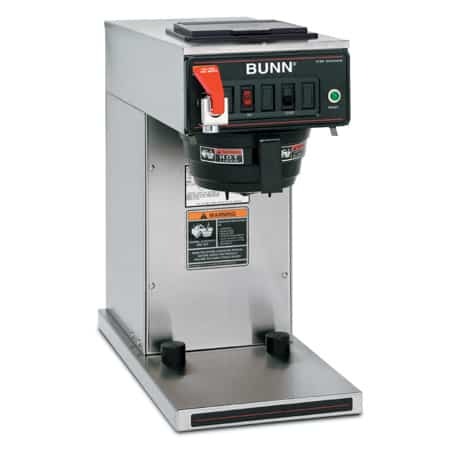 The BUNN CWTF15-TC Carafe Brewer is ideal for low-volume use. When space is limited, the 9 inch ultra-thin design fits nicely on cramped counters. 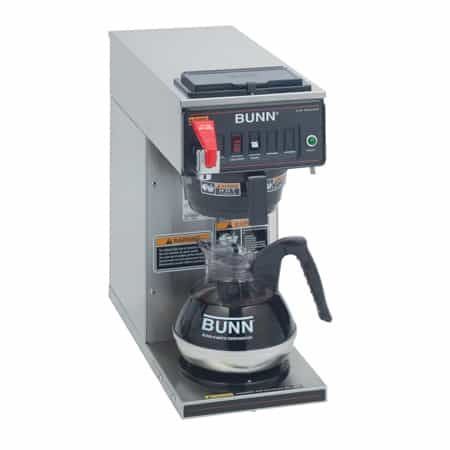 The BUNN CWTF15-TC Carafe Brewer 12950.0360 is great for when you need to brew fresh coffee, quickly. 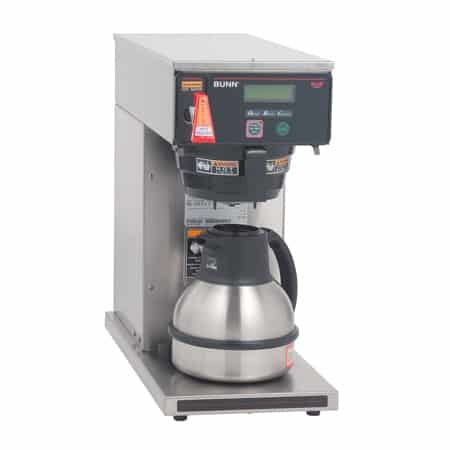 It can brew up to 3.8 gallons every hour. 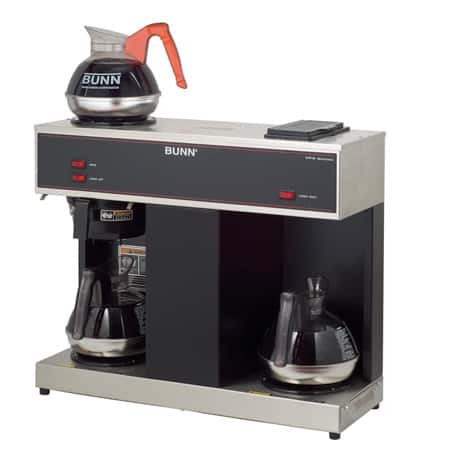 This BUNN coffee maker brews directly into 1.85 liter (approx. 12 cup) Thermal Carafe. 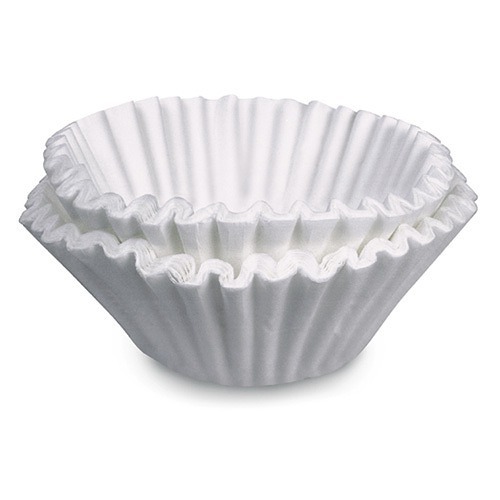 However, the versatile design provides enough clearance to hold up to an 8.5 inch Thermal Carafe. You never need a separate water hook up with the CWTF 15-TC. Just pour water into the vent located at the top of the machine. For your safety, the Splashguard funnel averts hot liquids away from your hands to prevent injury. The hot water faucet is conveniently located on the front, allowing you to quickly prepare tea or hot chocolate. 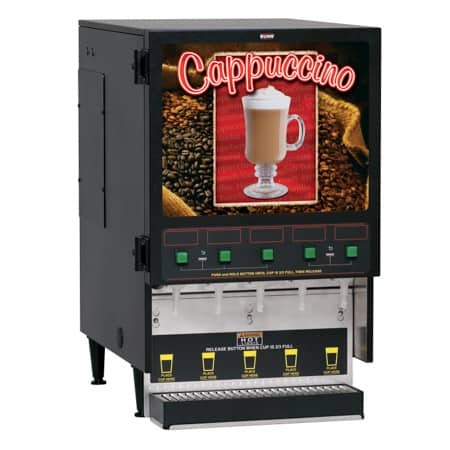 Requires 2-wires plus ground service rated 120V, single phase,60 Hz.